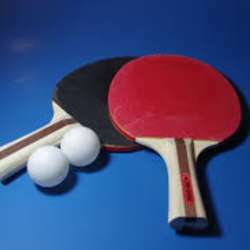 You must be a member of the Munich Table Tennis Group to attend this activity. Would you like to join this group? We would play table tennis (doubles and singles), depending on the number of attendees. This is open to everyone, from beginners to experts. Do please, come along with your rackets and balls if you have one; you may also borrow one from there. Two tables will be reserved; and please, cancel your attendance if you can't make it. This is so that others in the waiting list can attend. The charge for renting the tables will be shared among the participants (between 5 and 6 Euros per person depending on the number of participants). If you have problem locating us, just ask the waiters and they'll show you the place.